Books! Books! Books! Yay Books! Just for the record, I have a family that loves books. So our literature choices are important to me. I want good books and more. The "and more" has been a problem in the past. Not anymore! Hooray for Hewitt Homeschooling and their Lightning Literature and Composition- Grade 8, written for 8th or 9th graders! We were recently blessed by this company to review their course and I love it! Lightning Literature and Composition- Grade 8 Student's Guide ($25.00)- This book is for your student. For each selection read, whether novel, poem, or short story, there is an introduction, vocabulary list (broken into chapters), comprehension questions for each chapter, a literary lesson that is highlighted within that particular reading assignment, a mini-lesson, and writing exercises to choose from. Your child will need a separate notebook or paper to write on. Literary lessons include things like determining the author's purpose, setting, and imagery. Mini lessons include things like taking notes, rewriting in your own words, and free verse. Writing assignments include things like writing paragraphs, poems, short stories, and research papers. Lightning Literature and Composition- Grade 8 Student's Workbook ($25.00)- The student workbook is also for the student and should be completed after the reading, literary lesson and mini lesson. This is where your child will take the skills they have learned and put them into practice. Included in these pages are exercises in discovering an author's purpose, short grammar lessons, and analyzing literature. Crossword puzzles, word searches, and other games are also included but optional. This workbook can be written in. Lightning Literature and Composition- Grade 8 Teacher's Guide ($20.00)- Just that! A teacher's guide that includes a suggested 36 week lesson plan, any answers to comprehension questions and workbook pages, and extra notes you may need on what is being taught. In the past we have used a program that has your child read a lot of books. A lot. And I thought that would be a good thing. My kids love to read. But through the years I began to question some of the book choices and the lack of any follow up. I saw my kids read a book, put it down, answer a few questions and repeat. But what I did not see was much deep thinking or even enjoyment. That's where Lightning Literature is different. I feel the books have been chosen with great care. There are some classics that everyone should read and a few "new to me" books. I also love that in between each book there is a break that allows for a lesson in poetry or short stories. While those are not things my son would normally gravitate towards, putting them in between the books is a good motivator for him. What kid cannot drag themselves through a short story when they know Treasure Island is waiting for them? I also love the quality of questions are being asked. There is a place for reading comprehension of course, but at this age level, there is so much more to reading a book. Lightning Literature asks questions that get kids thinking outside the box with, "what were they thinking? ", "how did they feel?" and more. They have to use their brains a little to work through answers, not just spit back a one word answer. One of the things my son loved was there are only a few questions per chapter and therefore not completely overwhelming to him. While we only used the vocabulary to define any words we did not know, it would be easy to use the book vocabulary lists for spelling and for vocab practice in your school! Because each unit ends with writing assignments to choose from, you can also use this for a complete writing program. We were not able to complete a writing project during this review period...but soon, very soon! My son loves that each unit offers 4 or more choices and that HE gets to choose which one to do! The only thing we struggled with was the recommended schedule, honestly. The recommended schedule is listed by weeks, not days, which happens to be my personal preference. Instead of following it exactly, what I figured out worked best for us was to look at what was required for the complete lesson and then break it into days for my son. For ease, because there are 12 chapters, we covered a lesson every 3 weeks, which would ultimately cover 36 weeks for the school year. In reality, some books may take us a bit longer while some of the poetry lessons may not take as long, but for now it works for us. For us, this allowed one week for reading the book and answering the questions after each chapter, one week for reading the literary lesson and mini-lesson and completing the workbook pages and then one week for the writing assignment. Of course, remember that one of the glories of homeschooling is that each person can find what works for their children and then forge ahead! And that brings us to this- this program is a winner. And it is also our new literature choice. For the record, I am backing up and covering Lightning Literature 7th grade first because, well, I am like that. I like to do things in order! We have also reviewed the high school level British Medieval program in the past. You can find reviews from fellow Crew members for both of these and more through the Schoolhouse Crew Review link below. *Books can also be bought in packs with or without the Stories and Poems for Extremely Intelligent Children, which is also used in 7th grade. Hope I am not boring you, friends, but I have begun to really enjoy these month in review posts because it reminds me of the things we have accomplished. We are winding down our summer fun with one more small trip to the Black Hills soon and enjoying the cool weather here, as we start back to full time school at the end of August. Of course, the month started off with the 4th of July! We spent a wonderful day with friends and then watched fireworks before heading home. I remember when seeing fireworks was a bother due to traffic and too many people! There is just something about a small town that makes holidays even more special! Have I mentioned we love this place? And then there was the week my girls went to Drama camp. Our 16-year-old was there for drama and acted in one of the final productions - The Somewhat True Tale of Robin Hood. Our oldest was there for an internship and to do the costuming. She loved being back on campus and seeing friends and learned so much! We joined them at the end of the week to see the performance. Three of mine plus a friend! When she is not interning, this is where you will find my oldest. She does all of the alterations for a dry cleaner in town now, plus a ton of business on the side. She is a sewing maniac! And this, believe it or not, is about school planning, which is what I have spent a lot of time doing lately! A lot! Hope your July was blessed as well! Onward to a new month! I have struggled in writing this post. As a matter of fact, my Monday posts are usually written pretty far in advance, but this one - last minute. It has been swirling in my head for a few weeks, but getting it down on paper has been a challenge. I need to lose 15 pounds. I lost weight few years ago right after my hysterectomy and in my struggle to get healthy again. But here I am a few years later and almost right back where I started. Wanna hear something even worse? Right now I am a part of an online group to lose weight. Instead of being encouraged, I sink further into frustration with every picture they post of smoothies. Who eats like that? I do not like smoothies no matter how hard I try. (excuse) Milkshakes, yes, smoothies, no. The gals in the group are doing great. Me, not so much. Oh my, I could go on and on but the bottom line is, I can excuse myself all the way to the 15 pounds and probably more if I keep up this trend. Time for a change. And no more excuses. The plan? Well, that may be where the hard part comes in. I do not have one. Yet. But starting tomorrow, things have got to change. They will! I am thinking mostly salads for lunch, and only meat and two veggies at dinner. Breakfast is my hardest...remember I don't like smoothies. Carbs are out the door as are the chips with lunch. In the past, counting calories is really the only thing that helped me. "Eat healthy" - for the most part we do, except the chips. "Don't eat out" - we hardly do. "No sweets" - not usually an issue for me. "Limit processed food" - got rid of that stuff several years ago. So my problem? Eating too much of even the "good stuff." The answer - stop eating so much. After many weeks we have finally come to the end of our big verse challenge - Phil. 4:4-9. If you missed our original post and the inspiration behind it, you will find that here! And you know what? Kids are even better at this than we are. And it pleases God! Good enough for me! I love my job as a reviewer. Really, I do! My kids have been so blessed to be exposed to amazing curriculum and other great products out there that we may have otherwise never even heard about. But, occasionally an even more fun "perk" happens - a product just for mom. 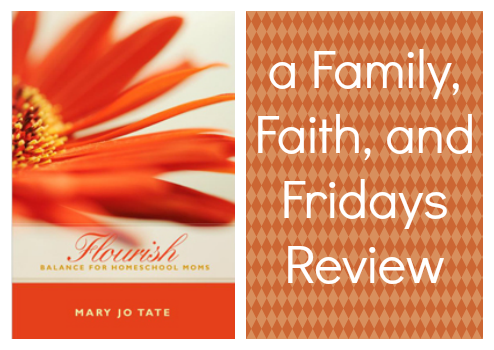 Yes, this time I was blessed by Apologia Education Ministries with the book Flourish: Balance For Homeschool Moms. The name intrigued me immediately. Balance is something I have been struggling with in this season of my life and instead of flourishing, I would describe myself as wilting. Seriously. But God, in His perfect timing, allowed this book to come into my life and I feel like I am on the road back...with the goal of flourishing in sight! First a word about the name of this book. I am a little troubled by the "Balance for Homeschool Moms" part. Yes, author Mary Jo Tate is a homeschooling mom, but this book is truly for every woman out there, in my opinion. Please do not let the title turn you away. If I had all the money in the world, I would gift every woman I know, plus the ones I don't, with a copy of this book. It is like salve to the soul. From practical advice, to forms to use to streamline your life, to scripture to inspire and words to encourage, you will feel that Mary Jo is talking just to YOU! Whether you are married or single, have 10 children or none, homeschool or not, own a business or stay at home, this book has something to offer you. Grab a cup of tea, pull up a comfy chair and let me tell you why I love it! Chapter one introduces you to Mary Jo and her book, why she wrote it, and what she hopes it will do for you - an invitation to flourish. Say hi to your new friend! Flourish means to grow vigorously, luxuriate, be revived or abound. Chapter two is titled Change Your Mind to Change Your Time. It is all about determining your ideal and your reality and then coming to peace with the space in between. As Mary Jo says, it is about "life management, not time management." This chapter really got me thinking about changing my attitude from "not enough time" to "how can I make the time?" Chapter three uses the FREEDOM toolbox to help you change your behavior. By Focusing, Reflecting, Educating, Eliminating, Disciplining, Organizing, and Multitasking, you can meet life's challenges. OK, honesty time here - eliminating is the biggest challenge for me. But guess what Mary Jo says? Are you ready? "...not everything that needs to be done is something you need to do." Ouch! Does that speak to anyone else but me? Chapter four is Where Did My Time Go? Now, that is a good question! ;) And one you can answer using Mary Jo's time log chart. This was the hardest TAKE ACTION exercise I did. She recommends you log your time spent in 30 minute increments for at least a week. I lasted two days. Yep, pitiful. Want to know why? One, I KNEW what it was going to show. And two, I didn't want it to show that. And so, friends, this is one area that I am currently working on. Big time! I am ashamed to admit how much time I spend waste on things that are not really important. Chapter five is about setting goals. Family and individual. Mary Jo encourages you to think big, so I did! Chapter six uses 7 essential planning tools to help you get more organized. If you are a charts and lists kind of gal, you are going to love this chapter. Chapter seven is about interruptions and how we handle them. A popular misconception of homeschool moms seems to be that we are available at the drop of a hat. "It's important to show God's love by serving people, but you can't be available on demand for everyone all of the time without neglecting your own family." Chapter eight focuses on our attitudes. As Elisabeth Elliot says, "Feelings, like thoughts, must be brought into captivity." Yes, and Amen! This may be a chapter we should read and re-read, friends. I don't know about you, but I know my attitude needs to be adjusted in several areas in my life. How about yours? Chapter nine is titled Oxygen Masks and Monkey Bread Days. After reading about nutrition, hydration, exercise, and sleep, you will see why. Chapter ten is about training your children. Why, oh why, is this chapter highlighted and dog-eared in my book so often? Mary Jo talks about not just chores and such, but training them in taking initiative and serving others. Hmmmm, maybe we all need a lesson in those things. She also has some great examples of chore charts in this chapter. Chapter eleven concentrates on making memories. I loved this chapter as well. We have a regular Friday Family Night at our house so this is not a new concept to me. It is always fun to read about what others do though and get some new ideas. For just the cost of your time, you can make memories that your kids will cherish for years. Chapter twelve is Managing Your Home! If you already know me, you know that this chapter was one of my favorites. From housekeeping to organization and meals, Mary Jo has some great tips - including the reminder to make hospitality a habit. 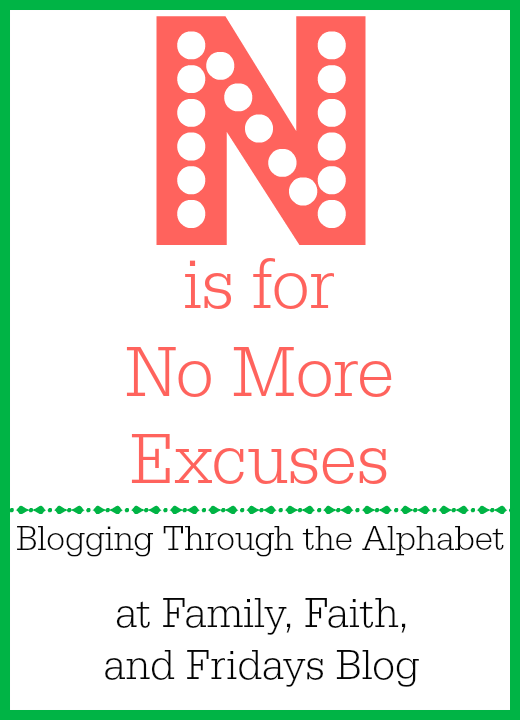 Chapter thirteen is for you homeschooling moms. It is a good reminder that no two homeschools look or operate the same, and that's ok. Find what works for you and go for it. Chapter fourteen is for you single moms. Even if you are not single, please take the time to read this chapter. Though Mary Jo would have never thought she would be a single mom, she found herself in that position. Because of her personal experience she not only can minister to those who are also in that season of life, but also help those of us who are not to bless those ladies. Having often spent many times alone when my military husband was deployed, I can attest to what the help of a friend can mean and was grateful for the reminder to help and support others in a similar situation. Chapter fifteen strengthened and inspired me. It is about home businesses. Though blogging is not a business for me, it takes up much of my time and therefore I treat it like a business often. Questions like, "what is working" and "what is not working" and "how can I include my children in this" are important factors to consider. This is one of the first chapters I want my soon-to-graduate from college daughter to read. Tools and strategies are only as good as the actions you take on them. We need to celebrate what is working our lives. We also need to seek out the things that are not working in our lives and make changes! With all of the practical steps Mary Jo shares throughout her book, I am confident you can do it. Me too! Additional thoughts - Each chapter is followed by a TAKE ACTION checksheet full of ideas and action steps. Use it! Let's face it, we can read all kinds of great things and even shake our heads in agreement, but until we actually DO something, take action, apply it to our life, nothing is ever going to change. Some of these actions will be easy for you. Others you will find, like I did, are painfully hard. But they are required for change. You will find in the appendix recommended resources as well as the forms Mary Jo references. You will also be able to log into her website to print those forms out. Try them! If they don't fit your needs, find ones that do. And don't forget the pre-book self evaluation and post-book progress check. They will be eye opening, I assure you. With the help of Away We Go Media we have been traveling again. This time to Australia! OK, unfortunately only in our minds and through the pages of a book, but it has been fun none the less. 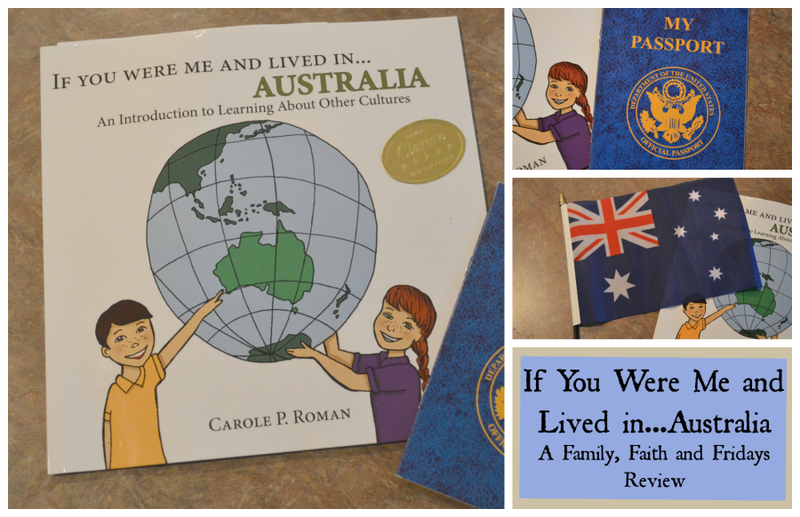 If You Were Me and Lived in ...Australia written by Carole P. Roman, and intended for children preschool to 8 years old, is filled with country facts presented in a fun way. From fun places to visit, what foods to eat and common names of children, kids will learn all kinds of things about a place many of us will never have the good fortune to visit in person. This colorful, 22pg book is sure to engage your young reader! "Australia" comes from Latin and means "south"
Vegemite really is a sandwich spread! Cricket is a popular sport in Australia and played with balls, bats, and two "wickets"
For any words you might struggle with, there is a pronunciation guide in the back of the book to help you along. Sound familiar? A while back we had the privilege of reviewing four earlier books in the series - Norway, France, Mexico, and South Korea. They have all become favorites of my 7 year old, who can now read them by himself and provide accents to most of the reading! Hey, if it entertains him, so be it! ;) I just love that he is being exposed to cultures different from ours. Being adopted, I find that it helps him to see that he is not the only one who is "different," but to instead understand that the world is made up of many "different" people, each with colorful backgrounds and stories. These would be great gifts for the traveling families or just geography loving kids in your life! Turkey and Kenya have also been recently added to the list of available books. All can be seen on Carole's website! Funny story- This movie review should have been done last week, but due to a change of address snafu, I only just received it and watched it last night. And yet, my review and giveaway fit so nicely into my Blogging Through the Alphabet, that I had to smile. Sometimes, things just work themselves out! Rich Mullins! Does the name sound familiar? It did to me, which is one of the reasons I was eager to watch the movie. I knew he wrote songs for Amy Grant (Doubly Good to You and Sing Your Praise to the Lord) and I knew Awesome God made him pretty famous in the Christian songwriting world. That is where my knowledge stopped. Through Ragamuffin, a movie based on the true life of singer and songwriter Rich Mullins, you get to see more of the man behind the talent. Unfortunately, much of the behind the scenes are pretty tragic. Much of Rich's childhood was plagued by a rocky relationship with his father. Scenes of verbal abuse are at times very harsh, hence the PG-13 rating. While Rich's childhood experiences and love of music drove him to a Bible college, they also drove him to a life of depression that made him, it seems, quite an emotionally charged man. Rather true or not, the video portrays him as almost a tortured soul and throughout the movie my heart broke for him. Despite his occasional humor and his obvious love for Jesus, he seemed sad, from childhood to his tragic death at age 41. Rest assured though, God can use anything and anyone, and that He did with Rich. He ministered to the poor and needy, living off very little and giving away the rest he made. He worked with Navajo children on an Indian reservation and sought to live a life free of the temptations that fame can bring. You can purchase a copy of Ragamuffin at http://ragamuffinthemovie.com/buy/. You also have a chance to win a copy of Ragamuffin simply by leaving me a comment telling me what your favorite Rich Mullins song is! A random winner will be drawn on Friday! I know, this is a BIG chunk at once, but I think if we are creative with our motions, we can do it. This is also our next to last week. Don't give up. 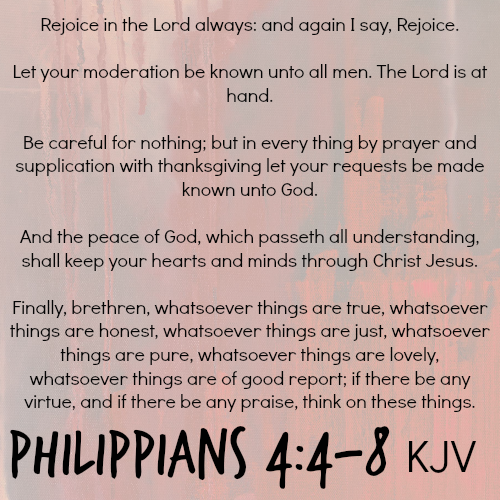 I really like this part of Philippians- words like true, honest, just, pure, lovely, good report, virtue and praise- don't they just make you feel better? If our hearts were filled to the brim with those things, then surely our days would be too. Not that our days would be perfect, but that we would be able to meditate on that which is. See 'ya back next week for our final verse, and then off to the Psalms we go for August and September! Time to regroup and relax! I am tired. Did I mention that on Wednesday in my pitiful post? I know, summer is supposed to be a time of fun and excitement. And it is! We have been blessed with family visits, exciting adventures, time with friends and all the fun summer brings. But I am fried, physically and mentally. Mostly mentally. I miss my boring routine. I miss my schedule. I miss quiet and peace. I think that is why I love fall and winter. Warm and cozy house, quiet routines. Boring, you say? Yes, please! When we started the process of decluttering our lives of STUFF, it was a freeing feeling. With everything that went out the door I felt like a piece of my brain was freed up. We were brutal with moving things out and it was good. But clutter is about more than just stuff. It is about a mindset as well. My brain is on overload from too much input. I don't know about you, but I find when we get too busy and my mind gets too cluttered, I get tired. And cranky. And my groove is off. And all of a sudden I do not feel like I have anything left to give. Because I want to give. I want to bless others. I want to be a great mom and a great wife. 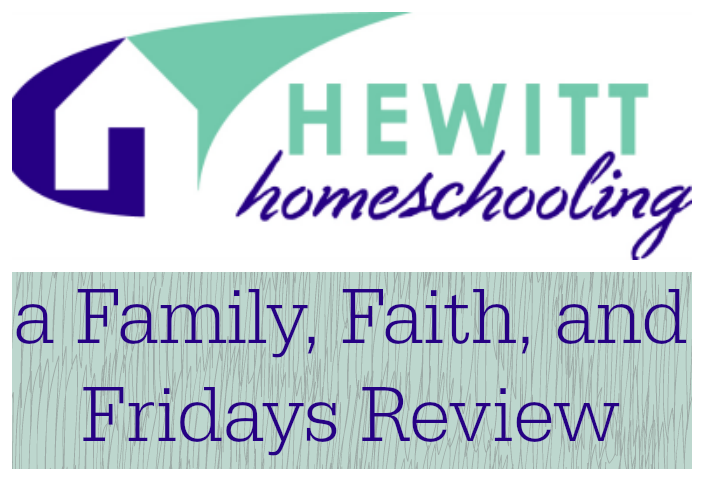 I want to blog with a passion, review with that same passion and mentor fellow homeschooling moms just starting out. I want to point others to Jesus and remind them they are a loved child of God. Instead, right now I just want to hide in a closet and not use any more words for the day. As my husband said, we sometimes need input to recharge us, not just drain us. Right now, there is a lot of draining going on. The solution? Well, I would like to say I have one, but not so much. I do want to enjoy summer and not wish it away, but I also know I need to find some balance. I need to take time to just spend quiet time with the kids, or get this-my husband, time to read a book in a cozy chair and time to recharge. I need to spend some real planning time devoted to this blog and enjoy peaceful conversations with friends. 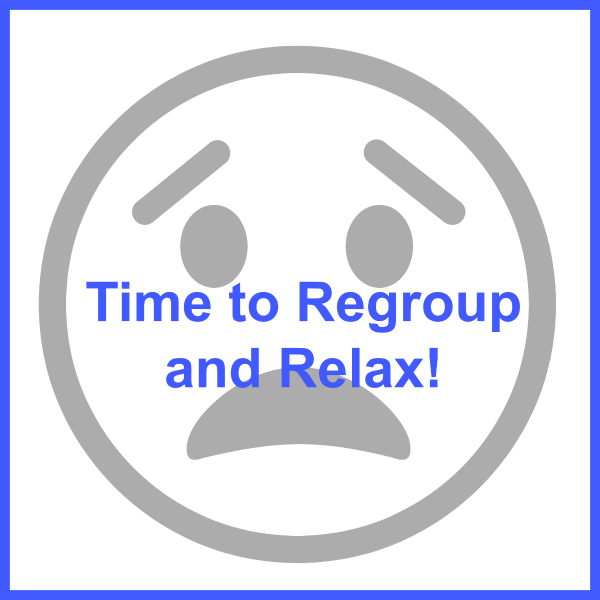 I need to regroup and relax! Sorry to bore you , but today has been deemed a mommy day off. I have had company, my girls are gone for the week, I am not sleeping due to my hip/leg issues, I am tired and I need a few days to regroup. And I may be just a little whiny! That could be a while post all on its own. Many thanks to all who have chatted and messaged me about our wheat free post from Monday. You have been a wealth of information and encouragement and it is much appreciated! See ya back in Friday! A few years go our family started a new journey on a road to be healthier. We started pretty basic at first. You know, less processed foods, less "junk" food. We did some research, discovered the benefits of fresh-milled flour and the vitamins it contains and progressed to grinding our own- wait for it- WHEAT. Yep, I have buckets full of wheat berries now sitting in the pantry. Buckets. And I now have a child that needs to be wheat-free to be healthy. Rewind the story a little. Our oldest has always had allergies. She was always sniffy or stuffy or sneezy. (sounds like a fairy tale, huh?) But that is just how she was. We gave her medicine and life went on without much thought to the cause. Unfortunately as she got older, her symptoms grew worse and she struggled ten fold between college and our move out west. It became evident by the time she came home last December that she was not only getting worse, but sicker as well. After initial blood work, we were referred to an allergist and the rest of the story is a mixed bag of good and bad. The good- we now have a reason for her struggles and she can get better. She IS getting better. Gaining weight, feeling better, more energy- her spark is back and we are so grateful. The bad- she is allergic to the world. OK, maybe not the world, but most of it. She tested positive for 60 out of 64 things. Wheat is one of them. At first we were told they felt it was environmental only, so we went with that for a while and are deep in the process of sterilizing her world as much as possible. THAT should be a whole new post! But through the advice of several people we began to question the wheat piece of the puzzle. 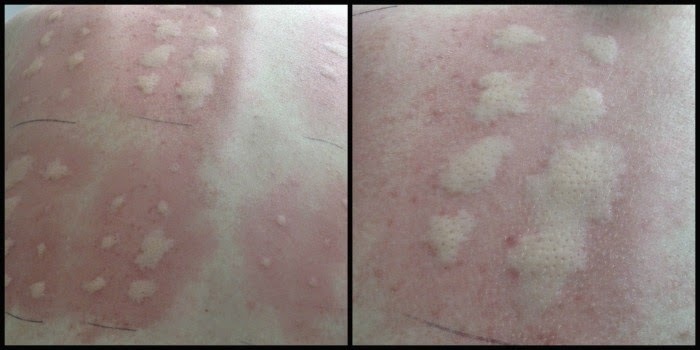 It seems that even if you are not "allergic" to wheat, it can be an inflammatory for those with severe allergies. On a whim, we decided to take her off it and see what would happen. Good news- within days, her allergy symptoms were much improved and her energy was through the roof. Think Energizer bunny. Seriously. She actually drove me crazy for a few days. She said she had forgotten what it felt like to actually feel good. Sad, but true. Bad news- well several things. 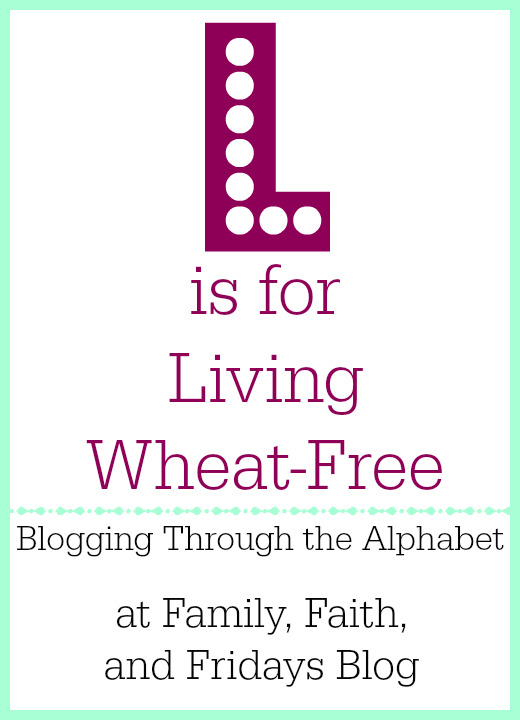 2- Once you take wheat out of your diet, going back is HARD on your body. It becomes more sensitive, so despite the fact that she has survived for 20 years with wheat, now that she is off it, there is no going back. see number 3! 3- "going back", AKA cheating, produces bad things. Aches, pain, headaches and on and on. And now even trace amounts are an issue so we have had to tighten our belts even more. 4- Cooking and baking wheat free is like rocket science. Too many choices, too much cost, confusion. UGH! Boy, do I have a greater respect for people who have children who have severe food allergies. I do not know how you do it! Some days I feel like we are swimming in a sea of confusion. 5- Eliminating wheat from your diet can make you lose weight. While this is not a problem for some of us, just saying, for those of you that know my oldest, it is a problem. She cannot afford to lose weight so that is something we are currently trying to work through. Good news- There are alternatives. Did you know the the Betty Crocker Gluten Free Brownies are amazing? Ronzoni pasta tastes just the same. Udi bagels make her happy. We have also found just this past week that spelt does seem to be safe for her so we are now experimenting with that. Rice Chex and Rice Crispies are wheat free. Dear friends of ours from Comfort Foods now offer GF pancake mix and brownie mix to die for. And the best- Olive Garden has GF menu choices. Made her day!!! Bad news- Goldfish, Triscuits, Oreos and Chinese noodles are a no no. Going out to eat is a little more challenging. And pizza- well, we are still working on that one as well. 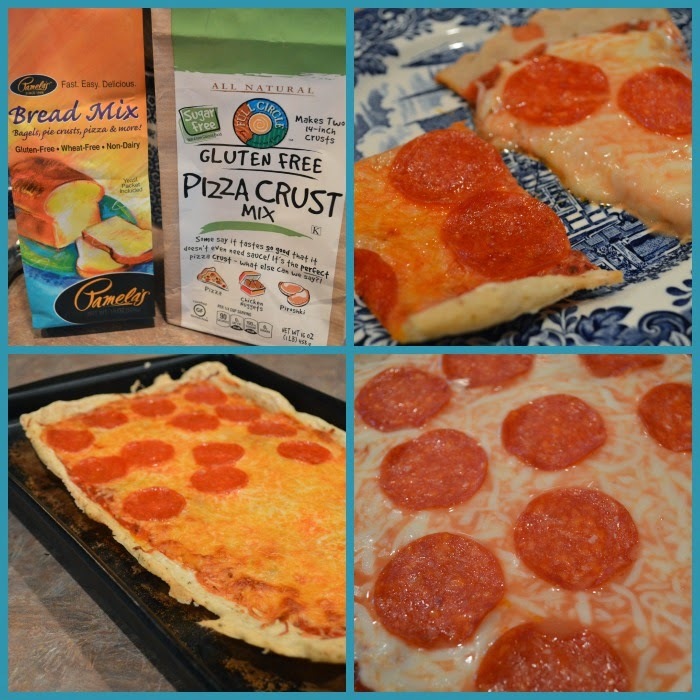 We did a taste test one night with two different doughs-Pamela's Baking and Pancake Mix, which we really like for cookies and muffins, and Full Circle GF Pizza Crust Mix. The consensus was the Full Circle Mix was the best, but we still are open to other ideas. We have yet to try just using spelt in place of wheat flour on our regular pizza dough. Here's what is sad to me. In the process of trying to make our family healthier we made one child worse. When we got our mill, we went crazy with it. Hence, the buckets of wheat. Homemade bread cookies, bagels, pasta, cakes and on and on and on. Go figure. In a perfect world we would all be able to process and enjoy the foods God gave us. We do not live in a perfect world. It makes her sad that her body reacts so negatively to something that should be good for her. Some days it is a guessing game to what made her feel bad. Thankfully, there are no allergies in heaven! Until then, like many of you, we move forward with each day and are learning. We do the best we can and are grateful it is day-altering, but not life-altering. We know so many of you are on this same journey and MANY that have more severe allergies, food and environmental. We would love to hear from you! What works? What doesn't? What is your favorite wheat alternative? Snack ideas? Any and all suggestions are welcome! Sometimes just knowing you are not alone is worth its weight in gold! 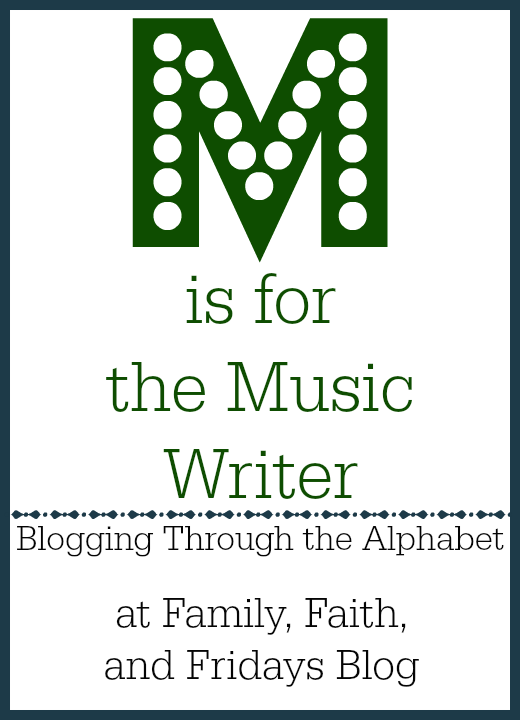 We are joining some amazing bloggers who blog weekly through the alphabet over at Ben and Me. Hope you can join us! Moving forward with 52 weeks! Another week, another verse added! I have always loved this verse, but the more I say it the more I love it. 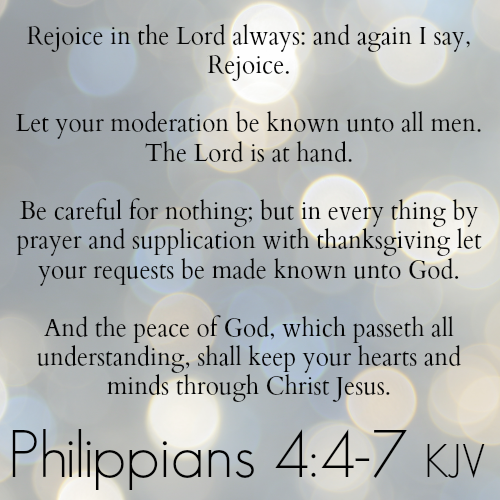 This week our added verse is about peace. As a worrier by nature, I need peace. I long for peace. Honestly, it doesn't come easily for me sometimes, but when I find it, wow! A peace that passes ALL understanding. 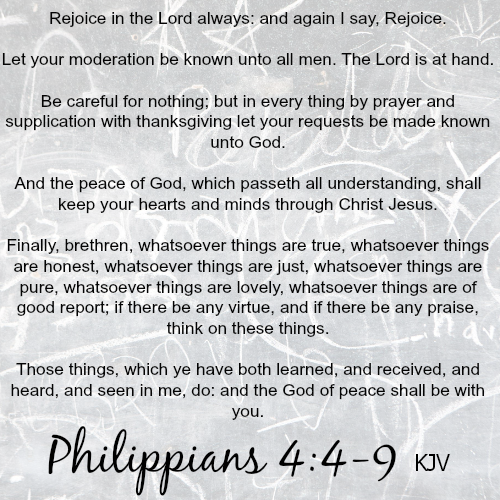 A peace of GOD! That is the kind of peace I want. Hope you are still with us on our verse. Remember to keep adding actions, make it fun and keep practicing. You and your kids CAN do this! Do you teach writing in your house? For us it is a subject that, in the past, I have pushed off until middle school and beyond. Other subjects took precedence and quite frankly, I just did not enjoy teaching it. 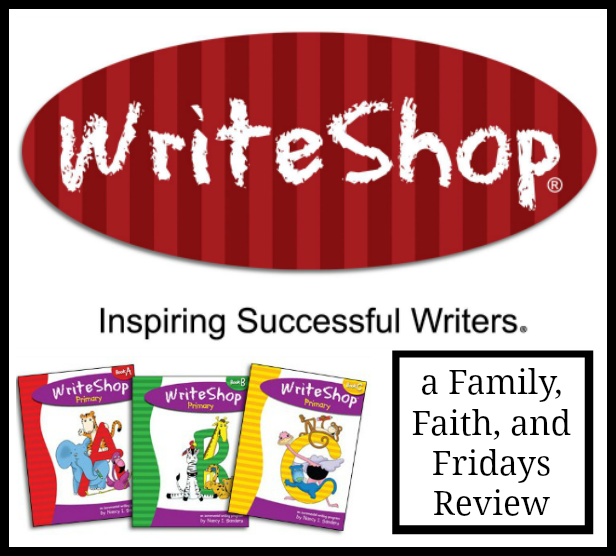 Last year I was introduced to WriteShop and all of that changed. Actually, I had the privilege to review WriteShop Junior Level D for my older son and liked it so much, I went back and bought Level A for my then 6 year-old. We used it last year and loved it. For the past few months I have been reviewing WriteShop Primary: Book B Set for 1st and 2nd graders, as well as reluctant 3rd graders and guess what? Love it as well! The set includes the Teacher's Guide as well as an Activity Set Worksheet Pack. WriteShop is a unit style writing program for grades K-6th grade. Beginning with Level A and continuing on through Level E, it teaches writing in a fun and non-threatening way. Using a combination of parent-led writing and moving on to student-led writing, WriteShop engages kids with writing prompts, a fun worksheet per unit, and additional activities and game ideas. Dividing each unit in to 8 "days," WriteShop provides lesson plans for a 3 day a week, covering one lesson every three weeks, or 4 day a week schedule, covering a lesson every two weeks. There is a schedule that allows you to complete a lesson in one week, but it is recommended only for very fast paced or motivated 3rd or 4th graders. How we used WriteShop Primary: Book B We have been using WriteShop Level B for our newly turned 7 year old, who will be beginning 2nd grade in August. We chose to do four lessons a week, covering a unit every two weeks. This gives us Fridays off, or just provides a built-in extra few days in case we decide we need more time to write. That has happened! What we think - As I mentioned earlier, we really do love WriteShop. I love the friendly approach that makes writing fun. No extra fluff here! Writing is the goal, and you do a lot of it. Each day begins with guided writing, where the teacher does most of the writing. When we start off the week and I am doing the writing for CJ, he is relaxed and able to just concentrate on his work. By me writing for him, his ideas flow! Sometimes extensively! He also likes the brainstorming days, again because I am writing for him and he is free to be creative without being bound to what he can spell or how fast he can write. We ease into him writing his story by the end of the first week and by the end of the second he is doing his stories all on his own. One of the other things I really like about WriteShop is that has a scripted example on several days of what should take place. While our conversations never look quite like theirs, it is often a big help to me just to get us started. In addition, within the teacher's guide there is information on creating a writing center and an extensive section on teaching the lessons. If this is your first time teaching WriteShop, this is a MUST READ section. It has many helpful hints that you will need to know. Also tucked into the pages of the teacher's guide are "parents say..." sections - little quotes and ideas from other parents who have used the program and variations they have used with success. If any advanced preparation is required on your part, that information is in a highlighted box at the beginning of each lesson. Two of the things that CJ likes best is the worksheets, which says a lot, and the creative ideas. Making word families on flowers is more fun that just making a list! Another technique we have used a lot is making a word bank before he writes. Writing his Acrostic on a pillowcase was just more fun! He looks forward to project days the most. When we used the program last year he enjoyed the publishing part of the week the best. This year I have found that that is not as big of a deal, but if you have a kid that loves to share their work with other family members, ideas like making a holiday party favor with your child's poem or making a basket of "story loaves" will be sure to bring them joy. Overall, I have no hesitancy in highly recommending WriteShop for your beginner writers. It is a good, solid writing program that I think will give your student a head start with writing. We will continue to use it through each level!